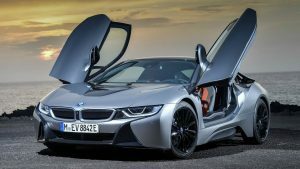 When you buy a BMW, chances are that you want your exotic new sports car to remain in pristine condition for as long as you own it. In order for that to happen, you need to be diligent about keeping up with maintenance and repairs when your car requires it. 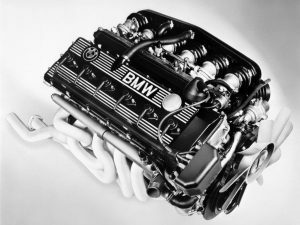 Since BMWs are an import car, not everyone knows how to service and maintain them properly. But if you’re in the Pflugerville area you are in luck, as the specially trained staff at Active Euroworks knows just how to care for your motor. Our friendly and knowledgeable mechanics offer timely and efficient BMW repair services of all kinds. Here are some of the BMW repairs & services you can get at our shop – and for a lower price than you’d pay at a dealership. If you drive a performance car like a BMW, keeping up with oil changes is critical to keep the engine healthy and help your car perform at its best. Ideally, you should have your oil changed every 3,000 – 5,000 miles, or at least several times a year. When you come in for an oil change, our mechanics give your car a thorough evaluation to make sure nothing else seems amiss. Find out more about what happens when your car goes in for an oil change – and learn about other important mileage check-ups. The engine is a vital part of your BMW, and it functions much like a critical organ in the human body. If the engine isn’t working properly, you face the risk of breaking down somewhere or having other components destroyed. Ideally, you should have the transmission checked too if the engine is showing signs of a problem, as the transmission can be adversely affected by engine issues. If you find that your car’s gas mileage is suddenly reduced without any good cause, if the car experiences a loss of power while you’re driving, or if the classic indication of a “check engine” light comes on, it’s time to bring your car in for an expert mechanic’s evaluation. If you drive a manual, the clutch will probably need replacement somewhere between 50,000 and 100,000 miles. However, it can also wear out more quickly if you’re just learning to drive manually or if you tend to drive in stop-and-go traffic. Bad driving habits like “riding the clutch” can also cause your clutch to wear out more quickly. Some common problems with the clutch include slipping, strange noises, and a pulsing pedal. A slipping clutch presents as the engine revving while the car is moving at low speeds. Strange noises, like a squealing sound, can be caused by a damaged release bearing or pilot bearing. A pulsing clutch pedal may signal that a component is loose or wobbling in the transmission. Since clutch and transmission problems are closely linked, it’s a good idea to have the transmission checked when you notice problems with the clutch. Axle Addict provides more detailed information about clutch problems and their symptoms. Cars come out with more advanced technology every year. While this makes driving easier for consumers, it also means that there are more things that can go wrong with the car. And because BMWs are more complex, they require an expert’s touch to make sure they are properly repaired. Some diagnostics that we offer are for ABS and DSC. The ABS system stands for “Automatic Braking System.” This system has four sensors that deliver proper braking power to each wheel. The sensors are connected to the car’s computer with wires. Often, dirt or debris accumulation on the wires can cause the system warning light to illuminate. The DSC system means “Dynamic Stability Control.” Its job is to provide stability while you’re driving. If the DSC warning light comes on, it is likely triggered by a failure of the ABS system. This often happens if the ABS pump runs constantly and drains the battery. Rarely, the light illuminates from a problem in the speedometer. Whatever the cause, you can rely on our mechanics specializing in BMW repairs to correct the problem. Leaking fluid is a serious problem, as it can cause extensive damage to your BMW’s components and leave you stranded on the side of the road. There are a handful of fluids that can leak from your car. Common sources of leaks are the engine, transmission, coolant, brake, and power steering fluids. You might not be able to identify the source of a leak without an expert mechanic’s evaluation, but a classic sign of any kind of leak is a pool of fluid that forms under your car. If you notice puddles forming under the car when you park, give us a call, as a fluid leak needs to be fixed as soon as possible. Wheels are your car’s primary contact with the road. They take a lot of beating from both road travel and parking mishaps. 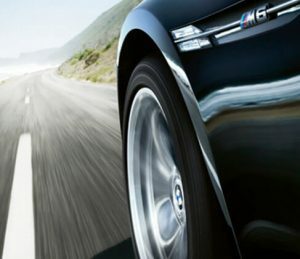 Therefore, wheel and tire repair is a popular service that we offer for our valued BMW owners. Whether you notice your tires are wearing unevenly or you think the car’s alignment is off, our mechanics will diagnose the problem and get you back on the road as soon as possible. We also perform wheel repair to remove dents and scuff marks from the rims to keep your tires looking as shiny and new as possible. 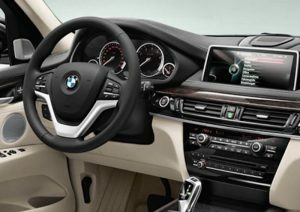 These are some of the common BMW Repairs & Services we offer in Pflugerville, however, the list is far from complete. To find out more you can call us today or leave your information here! 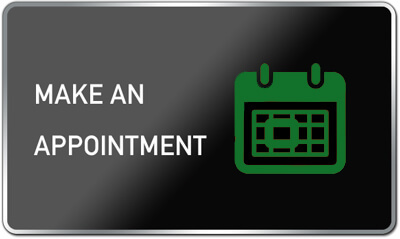 When you bring your car in for service, you’ll get personalized attention from our staff of foreign car owners and enthusiasts who treat your vehicle like their own. Combining state-of-the-art tools and our extensive BMW knowledge and experience, we can handle any problem – from a minor repair to a major issue – with ease. No matter what your car’s age or mileage, if you’re looking for BMW Repair, Pflugerville, give us a call or contact us online to find out how we can meet your car care needs.